Do you ever feel that your skin is dry, dull, or blemished? Good skin health is an important part in taking care of your body. After all, our skin is the largest organ of our body! It plays an important role in protecting our bodies from pathogens and environmental exposures, maintaining fluids, and communicating when there is something wrong or imbalanced. Remember, protect it from the outside so it can protect you on the inside! Stay hydrated. Drink plenty of water to help maintain skin support such as replenishing skin tissues and elasticity. Our body is made up of approximately 50-70% water, so being hydrated or dehydrated will have a big impact on your skin. Remember to keep water handy at all times! Protect your skin from the sun. Most know that sun protection is vital in preventing cancer—but did you know that it is also the key to keeping a youthful appearance? Wear a hat and apply sunscreen of SPF 30+ that contain ingredients zinc and titanium oxide. And remember, a higher SPF doesn’t mean it will work better. Instead, reapplying your sunscreen every 2 hours will be much more effective. Tip: Wear sunscreen every day, even if it’s cloudy — clouds filter out the sun but not its UV rays! Nourish your skin with antioxidants. Vitamins A & E and Ferulic Acid are effective antioxidants that help reduce signs of aging by neutralizing free radicals from sun exposure, repairing cell damage, and brightening the skin while helping prevent potential sun damage. Healthy doses of Vitamin D. Vitamins for your skin help nourish the skin’s appearance, glow, and barrier functions. Vitamin D, also known as the “sunshine vitamin,” plays an essential part in skin health with normal cell growth, wound healing, and healthy hair follicles. Although Vitamin D can be produced with sun exposure, it may not be enough to meet the suggested dose. Check with your physician beforehand and don’t forget to layer on sunscreen for your Vitamin D dose! A good home skin care regimen. A regular skin care routine at home is important. Consistent maintenance of cleansing, exfoliating twice a week, applying serums and moisturizers, and daily use of sunscreen are all beneficial for your skin in the long run. It may sound like a lot of work but with repetition it’ll become second nature! Facials on a monthly basis. 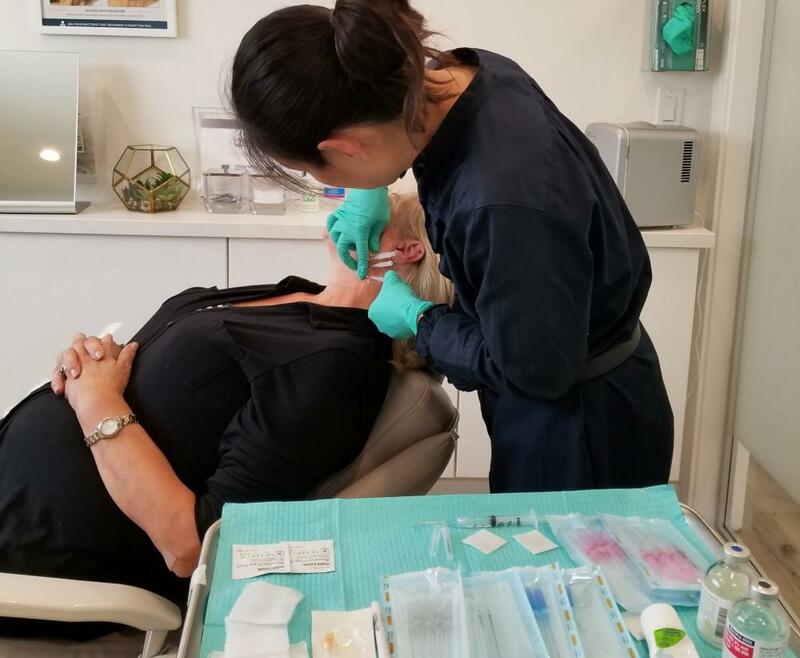 You can’t go wrong with pampering yourself whenever you can to clear your mind and relax, but medical grade facials once a month is a great way to get a deep clean for clogged pores and dead skin. Tip: Add enzyme masks or peels to your treatment to help eliminate dead skin, soften fine lines and stimulate collagen. De-stress your mind and body. Exercise and a nice bath soak can help after a long day of work. The increased blood flow from exercising helps nourish the skin cells with oxygen and nutrients. Tip: Pack a salicylic cleanser with you to the gym if you are acne prone-- it’s important to clean your skin from sweat after a workout. Get a good night’s worth of sleep. Rest is important. Avoid blue lights like TV and your cell phone screen. Studies have shown that blue lights from our devices enable serotonin levels which causes our brain to have difficulty relaxing and falling asleep. So, shut those devices off when it’s time to get some quality rest! Take these steps as a guide to healthier, glowing skin from the inside out. Check out the popular products among our clients here at GLO MD Wellness right below! 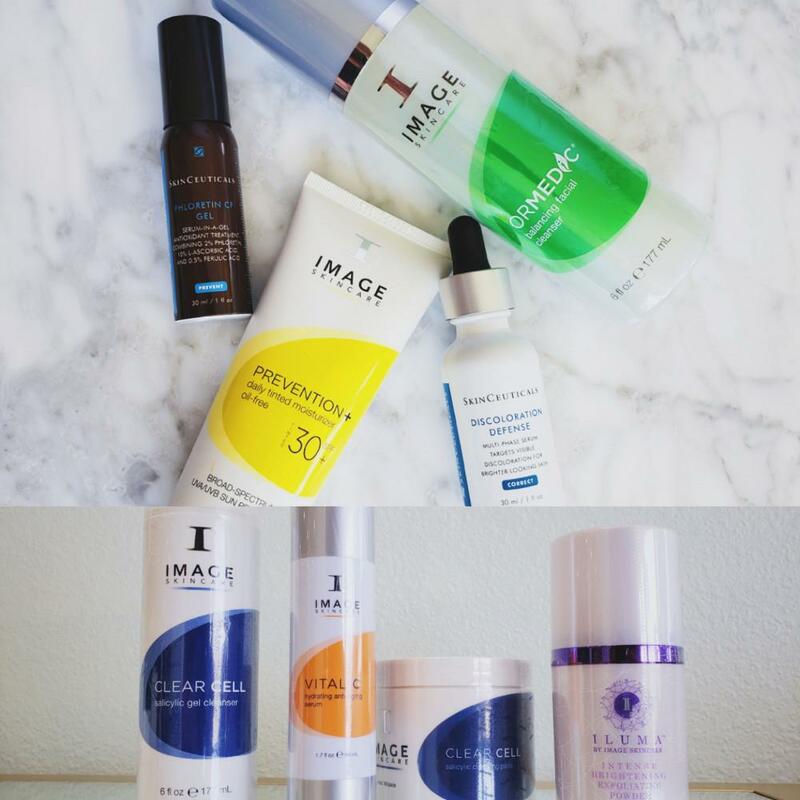 Image Skincare: Prevention+ SPF 32 Matte, Vital C Anti-Aging Serum, Ageless Hyaluronic Serum, Prevention+ SPF Spray. Mention "Glowing Skin" for a discount on your facial or product purchase! Call to schedule a consultation with Dr.Diana Nguyen or our specialist at GLO MD Wellness 714-559-5436. 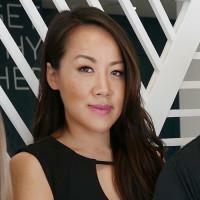 Author Nancy Co-founder of GLO MD Wellness, Believer that Wellness and Aesthetics bring out the GLO in all, Wife to a Passionate Physical Therapist. My personal skincare regimen for acne breakouts, blemishes and scars.